The Parable of the Blind Leading the Blind Pieter Bruegel the Elder, 1568. Web Gallery of Art. Blind Leading Blind, James Tissot, 1886-96. Biblical Art on the WWW. The Leaven, John Everett Millais, 1864. Tate Gallery. A Little Leaven, Jim Janknegt, contemporary. Hidden Light, James B. Janknegt. Contemporary. Lamp Under a Bushel, Ian Pollock, 2000. EICH Gallery. The Coin that was Found, James Tissot, 1886-96. Biblical Art on the WWW. The Lost Coin, Ian Pollock, 2000. EICH Gallery. The Lost Money, Jim Janknegt, contemporary. The Lost Sheep, John Everett Millais, 1864. Tate Gallery. Lost Sheep, Lost Sheep #2, The Lost Sheep, Daniel Bonnell, contemporary. The Parable of the Mote and the Beam, Domenico Fetti, c 1619. Metropolitan Museum of Art. The Draw Net, Ian Pollock, 2000. EICH Gallery. The Pearl of Great Price, John Everett Millais, 1864. Tate Gallery. Pearl of Great Value, Ian Pollock, 2000. EICH Gallery. Pearl of Great Price, Jim Janknegt, contemporary. Discovering the Pearl of Great Price #1, Discovering the Pearl of Great Price, Daniel Bonnell, contemporary. Purchase and Use. 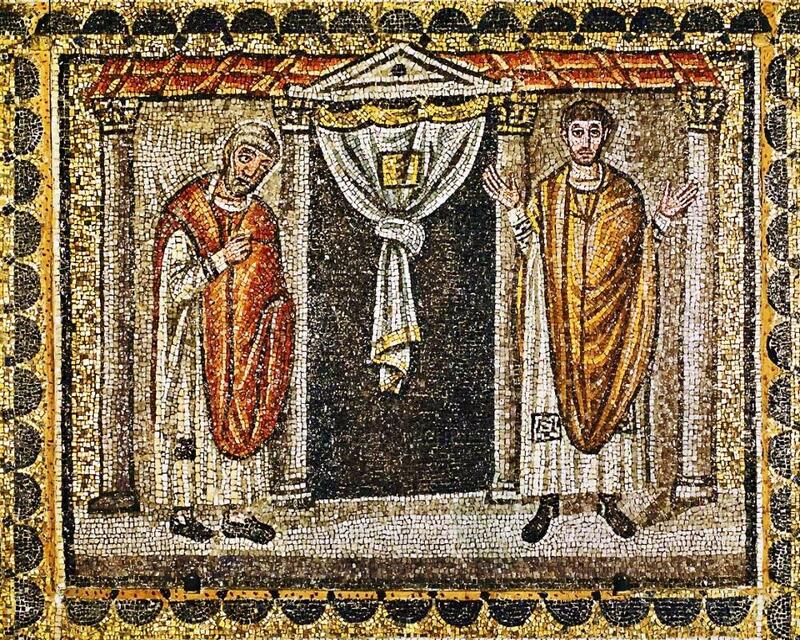 "The Pharisee and the Publican," mosaic, Basilica di Sant'Apollinare Nuovo, Ravenna, Italy, 6th-c. 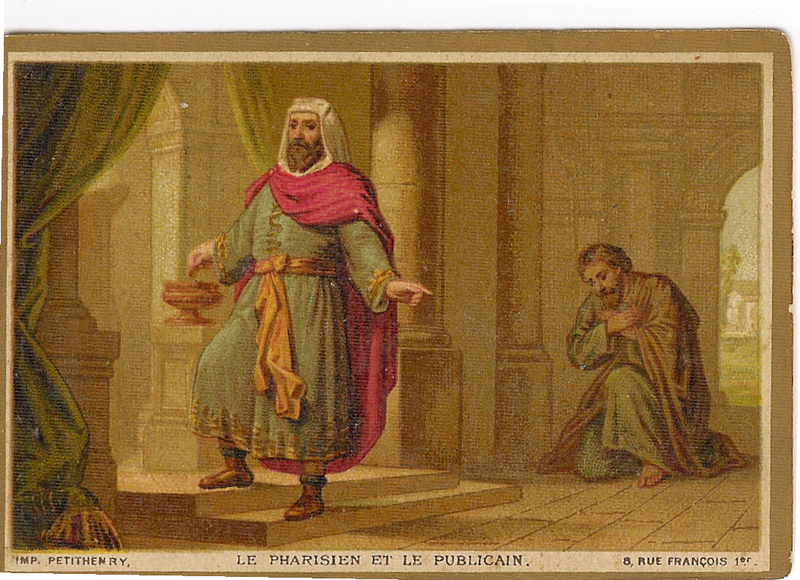 The Pharisee and the Tax Collector, Ian Pollock, contemporary. Unjust Householder, by Virgil Solis 1534 - 1562. Unjust Householder, etching, 1776, by Christian Bernhard Rode . 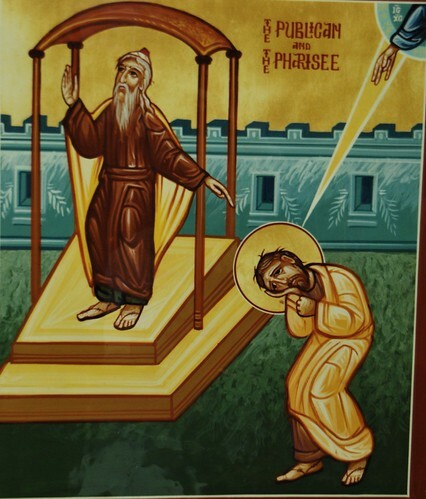 Parable of the Unjust Steward. etching by Jan Luyken (April 16, 1649 - April 5, 1712) in the Bowyer Bible (1791-1795). 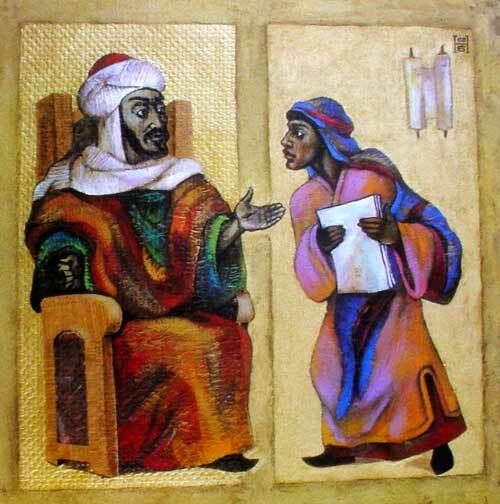 The unjust householder, Luke 16, 1-7, Chinese artist, 20th century(?). The Wicked Servant, Ian Pollock, 2000. EICH Gallery. The Parable of the Talents, Rembrandt, 1652. Biblical Art on the WWW. The Parable of the Talents, Matthaeus Merian the Elder, 1625-30. Biblical Art on the WWW. The Talents, Ian Pollock, 2000. EICH Gallery. Satan Sowing Darnel, Domenico Fetti, early 1600's. State Hermitage Museum. The Good Farmer (Parable of the Wheat and the Tares), William Blake, c 1780-1785. Tate Gallery. The Tares, John Everett Millais, 1864. Tate Gallery. The Enemy Sowing Weeds, James Tissot, 1886-96. Biblical Art on the WWW. Grain and Weeds, James B. Janknegt. Contemporary. The Weeds, Ian Pollock, contemporary. EICH Gallery. The Hidden Treasure, John Everett Millais, 1864. Tate Gallery. The Hidden Treasure, James Tissot, 1886-96. Biblical Art on the WWW. Treasurefield #1, Treasurefield #2, Treasurefield #3, James B. Janknegt. Contemporary. The Hidden Treasure, African Mafa. Hidden Treasure, Ian Pollock, 2000. EICH Gallery. Solid Foundation, Jim Janknegt, contemporary. The Two Sons, Ian Pollock, 2000. EICH Gallery. The Unwelcome Wedding Guest, Matthaeus Merian the Elder, 1625-30. Biblical Art on the WWW. The Poor Invited at the Feast, African Mafa. The Royal Marriage Feast, Ian Pollock, contemporary. EICH Gallery. The Party, Jim Janknegt, contemporary. The Wicked Tenants, Jim Janknegt, contemporary.